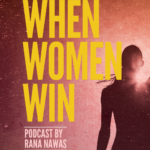 Earlier this month, I spoke with Rana Nawas, corporate veteran, writer and speaker, for her #WomenWomenWin podcast. I was honored to be the second man invited to be interviewed for her show. We had a wide-ranging discussion about the important role male allies and advocates play in advancing women at work and how to engage men in advancing women. We also talked in detail about the four barriers holding men back from active engagement in women’s issues and the framework for helping them to overcome these barriers. Additionally, we discussed the business case for gender parity, how to use metrics to drive accountability and actions CEOs can take to drive diversity goals within their organizations. If attracting and retaining talent is critical to your business, give our #WhenWomenWin podcast a listen. Women Beyond the Tipping Point – It’s time to disrupt the status quo to drive gender parity and rid the workplace of gender inequities. Gender Advocacy Profile – Have you ever wondered where you are on the advocacy continuum and what else you could do to create a more inclusive and diverse workplace? Why Aren’t We Making Greater Strides to Advance Women in the Workplace? – Is your women’s leadership strategy sitting on a one-legged stool? The Four Barriers to Male Engagement … and How to Overcome Them. Cultivating Male Allies: What’s Holding Men Back? Conversation QuickStarters and Staff Meeting in a Box Ideas – tips and tools for starting conversations about gender in the workplace. Follow Jeffery on Twitter for an ongoing discussion of issues and resources. Thank you again to Rana for inviting me to be a guest on her #WhenWomenWin podcast. It was my pleasure to discuss how to engage men to advance women.